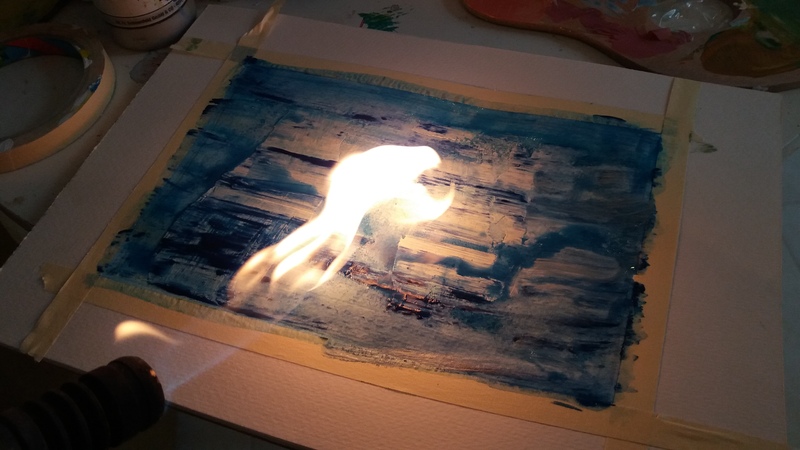 Some twenty years ago I had experimented in Aarhus with Fire and Card – successfully capturing the flame on paper. 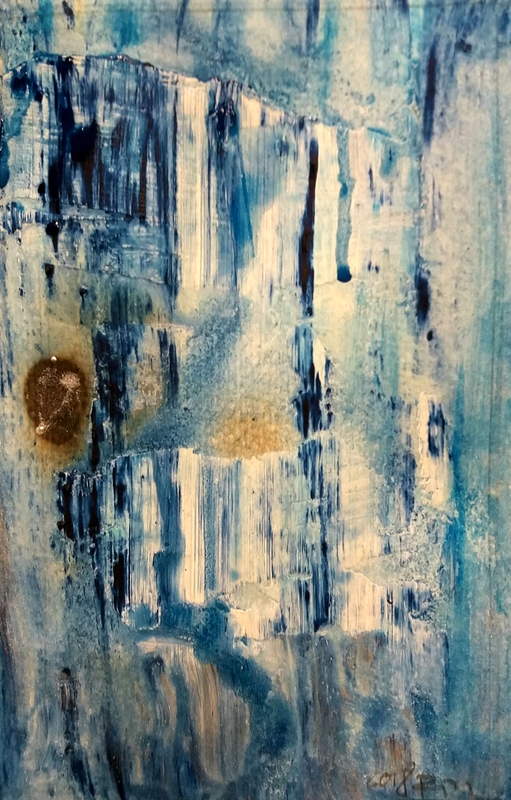 Whilst painting today I dug into my toolbox in my studio and came across gas torches – last time used to strip old wooden beams from paint. 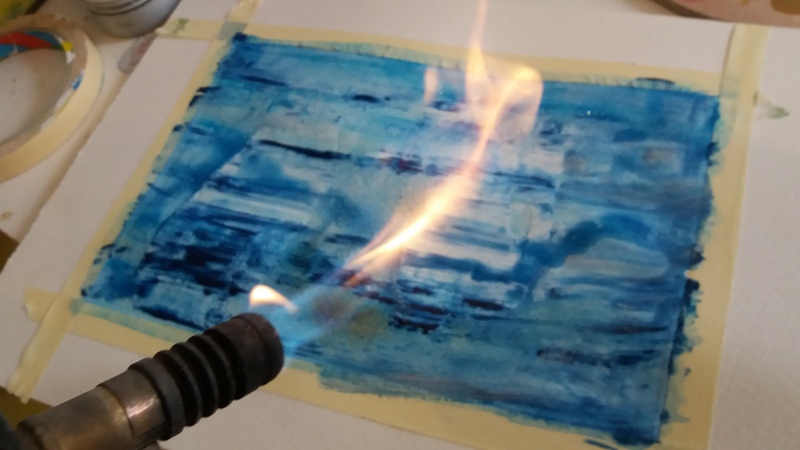 The acrylic on watercolour paper was still soaking wet – I remembered what I once had done in Denmark – could the wet Iceberg landscape become scorched? And a comment on how we are burning natural resources: mankind torching the iceberg and placing a silver fingerprint on his mark. Last I visited my sister, geologist Gro Birkefeldt Moeller Pedersen in Iceland it impressed me how fast the Glaciers recede. In Iceland the Global Warming physically changes the landscape. And here in Malta where polluting cars dominate the landscape and the way of life; we ignore the unbearable heat inevitably approaching in the coming Summer months. Whilst money, oil and supplies are plentiful, sea water is desalinated and drinking water is carted home by the dozens in plastic bottles. The winter rains are flushed out at sea with the new storm relief network. Decision makers will in 2018 -as every year- take to the comfort of Air Conditioned black cars and offices – whilst African day-workers cross perilous arterial roads by foot or bicycle in the scorching heat. Will it be too late the day the politicians start feeling the heat?